Rosewood Replacement Fascia Board Joint Cover. To be used to cover a join where two boards meet. These can be cut down to any length required from 250mm to 150mm. (This product is avaliable in Golden Oak, Black Ash and plain White, Please see our other fascia sections for these colours). 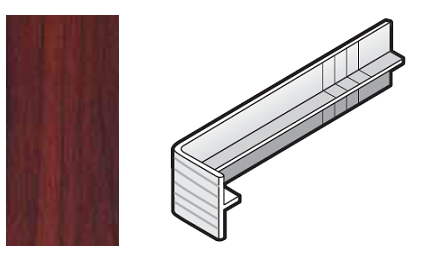 These fittings are for use with plastic fascia boards which are 18mm thick with a 35mm leg. All sizes are External measurements.